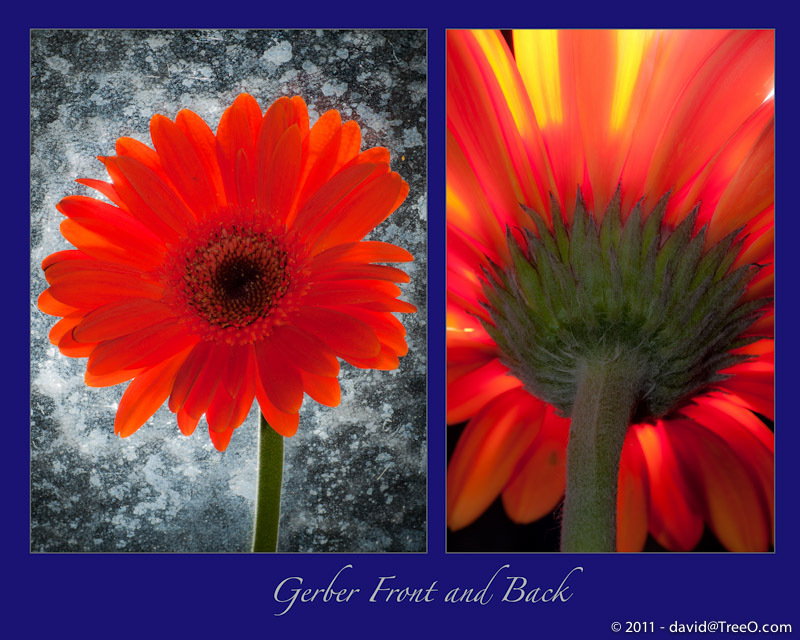 I took these photographs nine years ago of a Gerber Daisy my wife bought at the produce market. These are straight photographs with no Photoshop work done to them. I used two flashes to light the flower, one from behind. The textured background is from the glass on our patio table, which is illuminated underneath with a flash. Thank you for explaining how you photographed the Gerber Daisy. There is a light-line on the stem of the flower and I thought for sure that it was an added effect. Nice work!